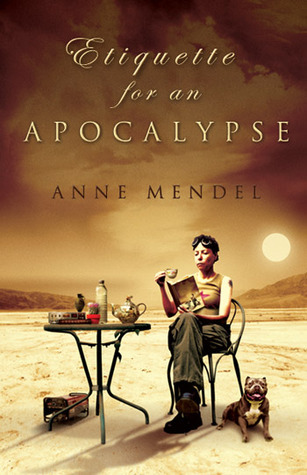 I want to highly recommend ordering Anne Mendel's Etiquette for an Apocalypse when it comes out May 18th (it'll be on Amazon and at your local bookstore). Anne's book concerns a family living in 2020, after the world has ended. It's full of warmth, humor, wisdom, and practical survival tips (seriously!). You'll be missing out if you don't pick it up. And she'll be signing at the shop, which will be GREAT fun! So you can order a signed (and personalized) copy at Seattle Mystery Bookshop. And someday, Marc, I hope you'll drop by too!